The Fruit Project is composed of eleven 5x7 cards--Nine "Fruit of the Spirit" cards, one explanation card and a title/cover card. 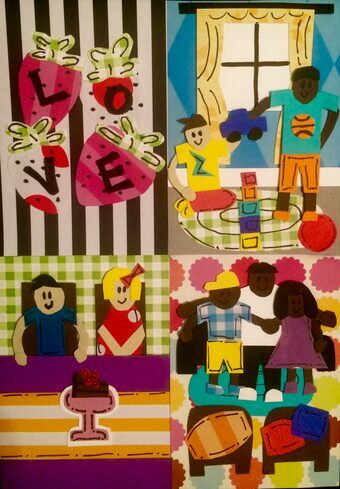 The front of each card has three "child friendly" pictures depicting that particular fruit. On the back there are discussion questions that go with the pictures, scriptures to read/memorize, a Bible Story suggestion for the family and a place to make a "plan" to practice that fruit during the day. 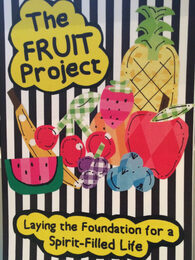 The Fruit Project can be used at home or can be used as a "story time" and discussion in Sunday Schools, Mother's Day Out, Weekday Childcare or other children's programs. 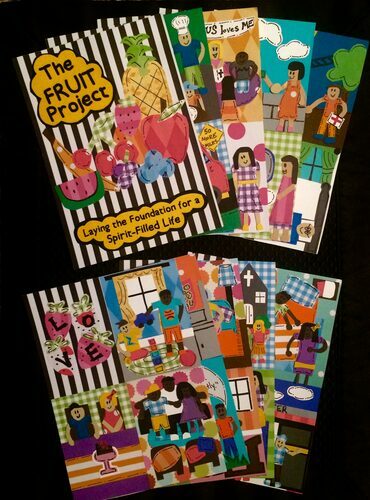 Each fruit card is designed to be used over time (for example--one fruit per month) to give the children time to process the story, the scriptures and to practice the fruit. 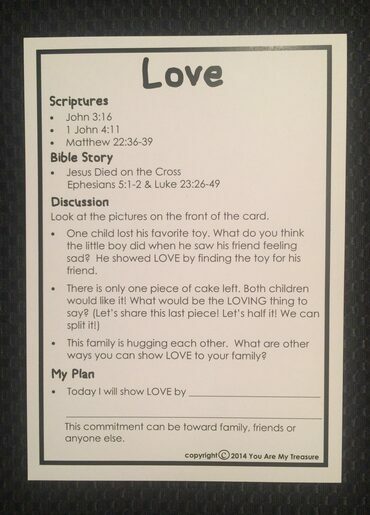 You will be surprised at how kindness, goodness, faithfulness and other fruit will begin to flourish in your home or classroom as you use these cards with the children. The cards are very vivid in color. Children are drawn to them! Please make a note of your pick up location.